Did you know that we can spice up your visit to Niagara falls? All you need is to book a bus ticket with us and we will take it up from there. We have been facilitating tours to Niagara Falls for a long time now and our commitment has always remained. Ours is to ensure that you have an experience like no other. We will see to it that you like the experience while travelling along with other people of similar interests. We mind your budget. We know that you could be operating under a narrow budget. In that case, we offer tickets from as low as $89. We believe that the ticket worth is nothing as compared to the breathtaking experience you will have during the tour. Part of the experience you will have with us is the great team of guides. 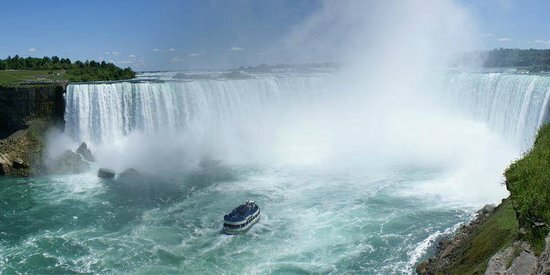 We know that you are very curious in understanding some of the facts about Niagara Falls. We will make sure that you enjoy your ride with our guides. They will complement the tour. Upon booking your ticket, you will be asked to provide the exact direction to your hotel. You will be picked from the doorstep of your hotel. Once done with the tour, you will be dropped to the place you were picked. Your convenience is our priority. Your ticket covers a complementary breakfast too. You will be privileged to enjoy breakfast refreshments as you journey across to the Niagara Falls. The tour of Niagara Falls From Toronto will be your dream come true. We will see to it that you have indeed enjoyed.